How can you be differentiated in your content marketing if you don't know what the competition is saying? It’s not just “hard” to differentiate yourself through content marketing these days. It’s really hard. Why? Because lots of marketing teams are producing white papers, eBooks, webinars, and infographics. Everyone has a blog. And being on Slideshare isn’t unique... everyone has an account! The bar for content marketing is high in 2017. The only way to get outsize results from your content marketing is to stand out. You’ve got to be faster, leaner, and more interesting than the competition. You've got to do things that are differentiated. But how can you be differentiated if you don't know what’s happening in your market? 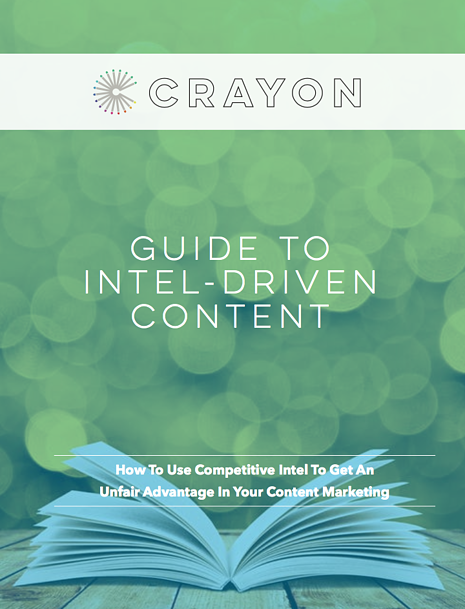 This guide will show you how to begin to shift toward an intel-driven content strategy that uses your competitor's efforts to your advantage.